OMAHA, NE -- The mother of an 11-year-old girl whose hair got caught in a spinning carnival ride says her daughter smiled after seeing her reflection in the mirror for the first time. Virginia Cooksey posted the photo on her Facebook page, saying: "My baby girl saw herself for the first time today. The way she handle[d] it gave me strength." Elizabeth "Lulu" Gilreath remains hospitalized. Her mother added that she still cannot see out of her left eye and is expected to have another surgery later this week. 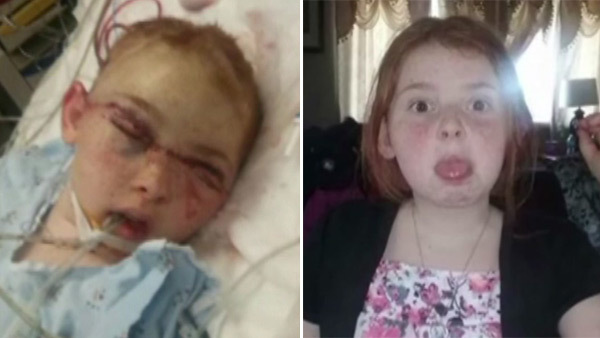 The mother of an 11-year-old girl whose hair got caught in a spinning carnival ride says her daughter underwent surgery to repair her scalp and remains in a Nebraska hospital. Earlier this month, the girl was captured on cell phone video riding the "Kings Crown" at a fair in Omaha. Her hair got caught in the spinning ride, yanking out her scalp. "(The ride) went on for five to 10 minutes, everybody told me, while it ripped and pulled my daughter around... 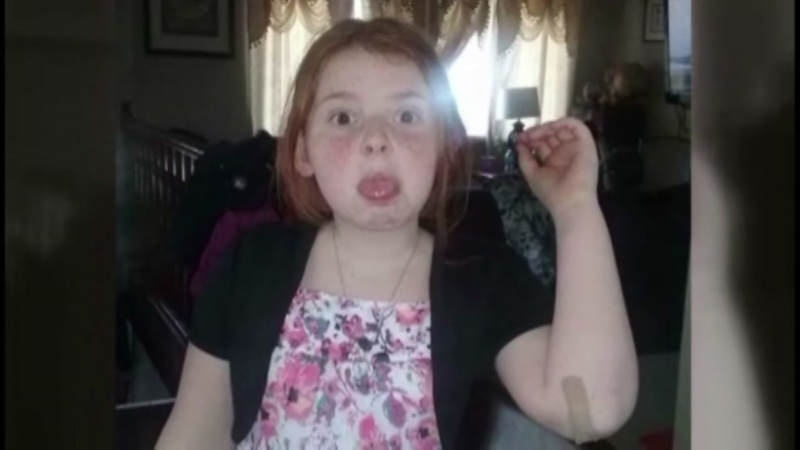 They don't even know if the muscles will work and my daughter will be able to see again," Timothy Gilreath, Elizabeth's father, said after the accident. Police said the girl was taken to Nebraska Medicine after the incident. Surveillance video showed the ride operator running from the chaos, possibly to get help. Omaha police said they are working to determine whether there was a malfunction with the ride. WPVI-TV and The Associated Press contributed to this report.